Our deal hunters bring you an all-inclusive beach resort from the white sands of Cozumel for less today. If you book the Melia Vacation Club Cozumel for $166 a night you will pay $30 less a night compared to the prices of other merchants. 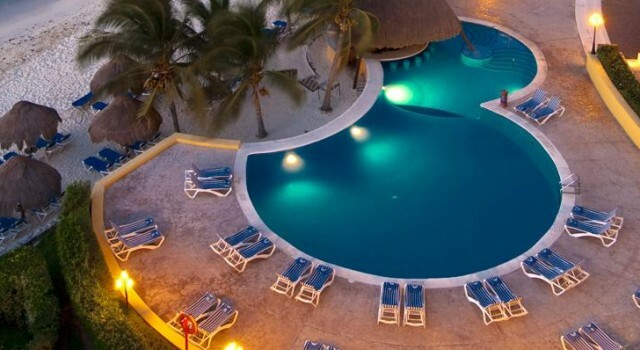 The resort is located northeast of the city of Cozumel and it overlooks the beautiful Santa Pilar Beach. Cozumel International Airport is only a few minutes car drive away from Melia Vacation Club Cozumel and so is a golf course, a marina, shops and restaurants. 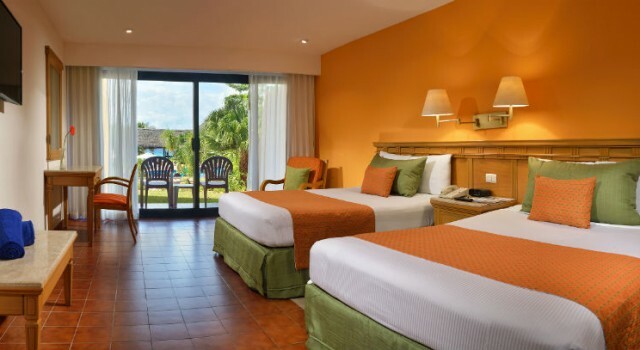 The rooms at this all-inclusive Cozumel beach resort come with one king bed or two double beds, suites have king beds. There is also a private balcony or patio furnished with chairs and table and also a flat screen TV, air conditioning, hair dryer, telephone, in room safe, bathroom with bathtub and Melia bath amenities and more. Melia Vacation Club Cozumel featured three restaurants, a seasonal grill and three bars. Guests can have international favorites and enjoy show cooking at La Isla Restaurant buffet style, they can get delicious snacks at La Iguana Bar or have an elegant, a la carte dinner at Cafe Paraiso. The on site YHI Fitness Center will provide all the means for you to keep in shape and relax during your stay with a free fitness center and lots of amazing massages and spa treatments. 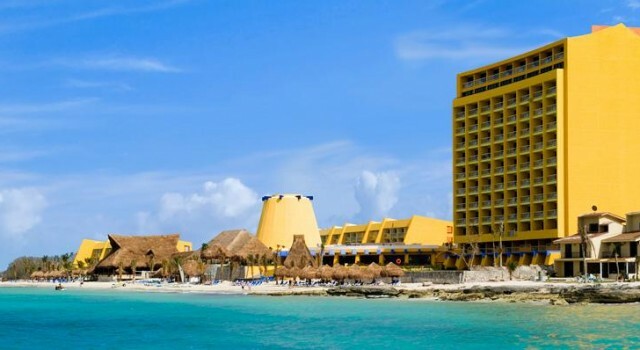 Melia Vacation Club Cozumel is an all-inclusive resort. This means that guests will get all their meals and drinks included in the booking, but also lots of activities and entertainment. Some of these are non motorized water sports, water aerobics, tennis, volleyball, basketball, free dancing and cooking classes, theme nights, evening shows (Caribbean, pirate or Mexican show), kids club with spacial activities and more. Want to be 100% certain that you have the best deal for your Cozumel getaway? The fastest way is to pick out 3 or 4 providers from the box and the travel dates you prefer and then hit the ‘compare’ button. Browse tens of similar beach resorts and choose the one you like the most.